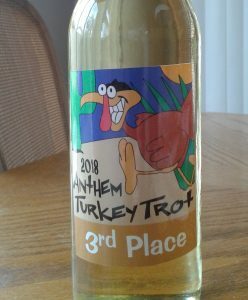 We had quite a few Turkey Trotters during Thanksgiving week! Congrats to all of you! Peter Ney – 40:30 – 3rd overall male! Frank Smith ran the Cincinnati Thanksgiving Day 10K. It was the 109th year of this race!! Frank finished in 54:33 and took 73rd of 414 in his AG! This entry was posted in Results, Uncategorized on November 29, 2018 by tekgrl_admin. We hope you are all enjoying a wonderful Thanksgiving weekend! Bill and I would like to take this opportunity to thank all of our athletes, past and present, for your support. Put simply, we wouldn’t still be here, 15 years after starting this adventure, without you. Thank you, thank you, thank you! And to go with our thanks, here are some great results from IMAZ! The weather cooperated this last weekend and it was about as good as it gets at this race! Congratulations to everyone! Ryan Clancey – 15:02 – 1st IM! Joe Dundas – 12:42 – 1st IM! Amy Engel– 16:47 – 10th IM!! Yes, 10th!! 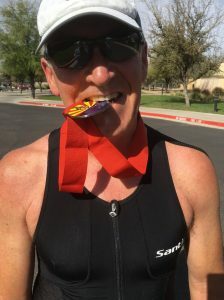 Don Ennis – 14:47 – 1st IM! Ryan Mitchell – 13:09 – 1st IM! Abby Pfeiffer (pictured) – 13:59 – PR!! Sorin Tohatan – 13:03 – 1st IM! Jim Ustasiewski – 11:09 – PR and 8th in AG!!! This entry was posted in Uncategorized on November 24, 2018 by tekgrl_admin. Congratulations to Marc Suarez who raced Ironman Wisconsin this past weekend and recorded a PR for the distance. He finished the hilly race in 14:45 which was 4 min faster than his IMAZ time from last year. Nice job Marc!! Good luck to Brandon Welling who is running the Mogollon Monster 100 miler this weekend in AZ! Also, good luck to everyone racing the Tempe Triathlon! This entry was posted in Uncategorized on September 15, 2018 by tekgrl_admin. Congratulations to Marc Suarez and Frank Smith who raced the Steelhead 70.3 in Michigan under extremely hot conditions, which seems all too common this season! Marc finished in 6:44 while Frank came home in 7:49. There were over 655 DNS/DNF in this race. A huge number. So extra congrats to our two finishers. At the USAT Sprint National Championships in Cleveland, David Hay placed an impressive 9th in his age group. The swim was cancelled due to a strong current, so the race was converted to a 2.7K run/20K bike/2.7K run. David finished in 1:11. We also want to congratulate Nir Joels who raced Ironman Estonia. Nir finished in 12:54. Nir is a long time CC athlete who now lives in Israel. Good luck to everyone racing Mountain Man this weekend up in Flagstaff! This entry was posted in Uncategorized on August 17, 2018 by tekgrl_admin. 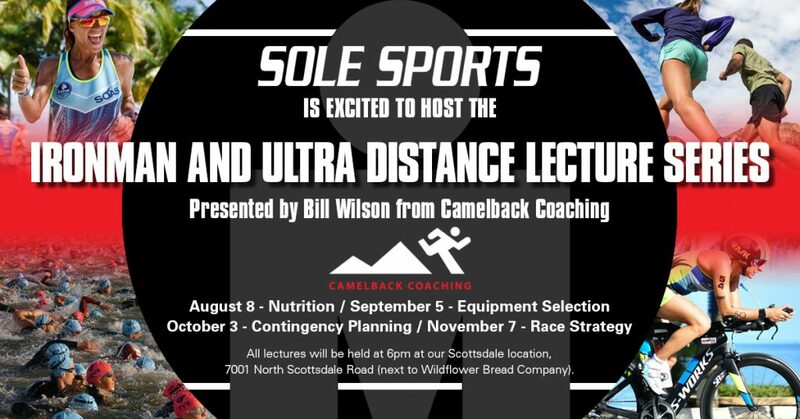 Please join us tomorrow, Wed, Aug 8th, 6pm, at Sole Sports Running Zone in Scottsdale for the LONG COURSE NUTRITION LECTURE. Doing the miles in training is important, of course, but how you manage your nutrition on race day can make or break your event. If you have a Half Ironman, Ironman, or ultra-distance event in your future, this is the lecture for you. Water and light snacks provided. The lecture is free. All are welcome! Hope to see you there! This entry was posted in Uncategorized on August 7, 2018 by tekgrl_admin. The race season is starting to get busier! Congratulations to all our racers! Kyrsten Sinema – 53:52 – 1st in AG! Robert Scovill (pictured) – 1:20 – 3rd in AG! This was Robert’s first ever triathlon! New South Trail ½ Marathon – N.C.
Ken Clark – 20:44 – 6:35/mile! Good luck to everyone racing the Bartlett Lake Tri this weekend! This entry was posted in Uncategorized on March 29, 2018 by tekgrl_admin. Camelback Coaching Athlete, Robert Scovill, 2018 Concert Sound Mixer of the Year! 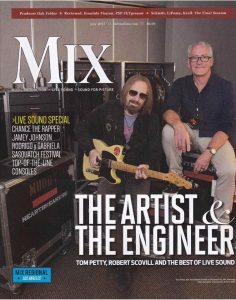 We’d like to give a shout-out to Camelback Coaching athlete, Robert Scovill, who was named 2018 Concert Sound Mixer of the Year for his work with Tom Petty and the Heartbreakers at this year’s National Association of Music Merchants (NAMM) Show. It was an extra special award for him this year, given the circumstances, but what an honor. I’m telling you, fifteen years into this coaching business, we’ve had the incredible privilege of working with some truly amazing people. Congratulations, Robert! This entry was posted in Uncategorized on January 30, 2018 by tekgrl_admin. Happy New Year, athletes! As we enter our 15th year of coaching, we absolutely must stop and thank you for your support. Truly, it has been your word-of-mouth referrals that have kept us going. 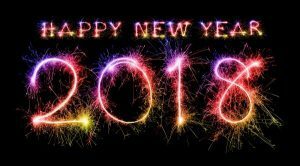 It is such an honor to be able to work with each and every one of you and we look forward to helping you achieve your goals in 2018! This entry was posted in Uncategorized on January 1, 2018 by tekgrl_admin. 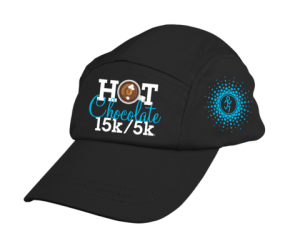 It was a bit warm for the Hot Chocolate 15K this year!! Congratulations to Sally Borg and Joan McGue. Sally ran the race in 1:35 and took 10th in her AG while Joan ran a 1:34 and took 9th in her AG! Hopefully we will have some cooler weather this weekend for the Scottsdale ½ marathon! This entry was posted in Uncategorized on December 7, 2017 by tekgrl_admin.